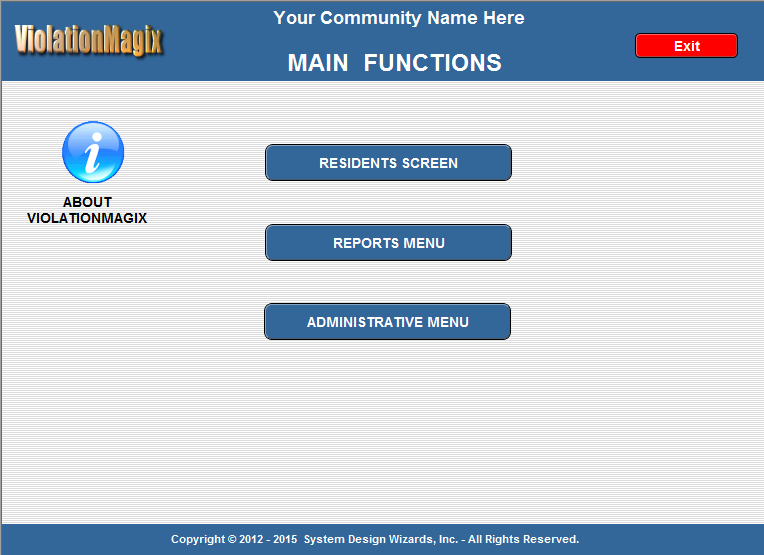 ViolationMagix is a breakthrough in managing a communities violations. Managing resident violations, fairly, efficiently and very affordably. A major amount of time using a manual violations management system caused us to write ViolationsMagix. Now entering and sending letters to rule violators is a breeze. No more duplication of effort and cust and past letters. The Violations Commitee, Directors and Property Manager know the status of all violations at the click of a mouse. It has been estimated that communities can save up to 75% of the time presently spent on maintaining a manual system. ViolationMagix may require FileMaker at an additional cost. Available as an internet Cloud Server version for $25.00 per month with a $225.00 setup fee. The module is included with On-Guard Level 100i.